Just a few items used up this month but they’re all goodies! So sad this one is all gone! It’s really the best feeling and the best scent I’ve ever had from a shower gel. And it’s really made my skin feel great! There is a full review here it costs £8.50 here. You might remember that when I went to a Balance Me Bloggers Event a couple of weeks ago I was prescribed this oil specifically for my type of skin after I had a face scan. Sadly I’ve used up my sample as I’ve been using it every night since. I’ve reviewed the product here and you can buy the full 30 ml size here for £32.00. I’ve reviewed this beautiful Dior Diorshow New Look Mascara already here. I’m trying so hard not to repurchase yet and to use up another mascara that I have but each day I’m disappointed that I can’t get the same effect as I got from my lovely Dior New Look. I have to say that as payday approaches I feel more and more certain that I won’t be able to resist and I’ll be buying this again. I feel like I’m constantly on the hunt for the perfect brow product. This Sleek MakeUP Brow Stylist comes close. Yes, there are better matches for my brow colour but they’re all either very expensive or difficult to apply on the go so this one is now my staple and I’ve already repurchased. 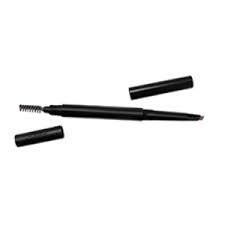 The liner is shaped so that you can outline with the thin side and fill in with the broad side. If you need to tidy them up a bit there’s a handy brush on the other end. I really don’t have any time for pencils that you have to sharpen and so this twist up pencil is all I need. It costs just £5.99 here.